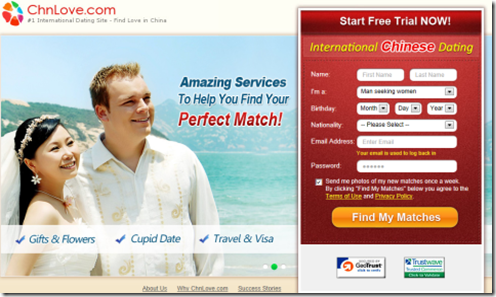 How to Pick Up Online Dating Service to Meet Asian Singles? If you want to find a perfect Asian match in a fast and efficient way, you may have a consideration on online dating service. Nowadays, online dating is becoming increasingly hot in the matchmaking market. It’s no longer perceived as a service for the desperate singles. Instead, it’s regarded as an efficient dating method, especially for the world singles who have no time to participate a social event to meet the opposite genders. With a computer connected to the internet, you can begin your love-seeking journey by going through web pages filled with descriptions and photos. Whatever kind of dater you’re seeking, you tend to find one via online dating websites. The point is that there are so many online dating platforms, how can you find the right dating service for you? Below questions would help you to figure out a solution on this aspect. 1. What dating services are available? Online dating websites provides different kinds of services for its members to build a connection with people they’re interested in. You can choose to send a message or an email to the person you are fond of. Take ChnLove for instance, it offers EMF Mails of this kind. Or you can choose to use the “Love Call” service if you want to hear her voice. If you desire an instant and effective communication, you’re advised to use the “Live Chat” service. If you doubt about the realness of the lady, you can use the video chat to confirm the identity of the girl you’re communicating with. Usually speaking, the reputed online dating websites covers all the services I mentioned above. You can choose to use based on your own needs. 2. What are the profiles like? For online daters, profile is the only way for others to know about them. Therefore, a unique and personalized dating profile plays an important role in your dating success. While different online dating websites have different standards on dating profiles. Some come up with general profiles with these questions listed: What type of person are you looking for? What are your hobbies and what are your pet peeves? Suppose you are not sure what kind of person you really want, and just want to find somebody in a certain area, it may not be a problem if the website uses general profile. But if you’re very sure of what kind of person you really want, then you may need a detailed profile which can better and quicker help you find your potential partner. Different dating platforms have different payment methods. Some adopt membership payment style. Some are on credits-based. Before you decide which dating website to use, you should have a thorough consideration which payment style is more suitable for you based on your usual online dating activities. For those websites adopting membership-based payment method, they usually suggest their members paying monthly or annually. Members of different levels have different rights to use the dating communication tools. If you choose to use the dating platform with credits-based payment style, you should be very clear which services best suit you to effectively communicate with the girls. Brighten your eyes and select the right online dating services!